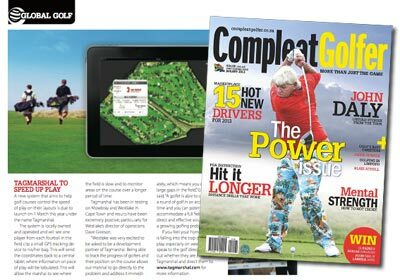 Could slowplay be costing your club over R1 million in revenue a year? marshals if a fourball is off the pace. The system ‘learns’ the unique pace of a particular course and marshals can confirm or overwrite alerts. 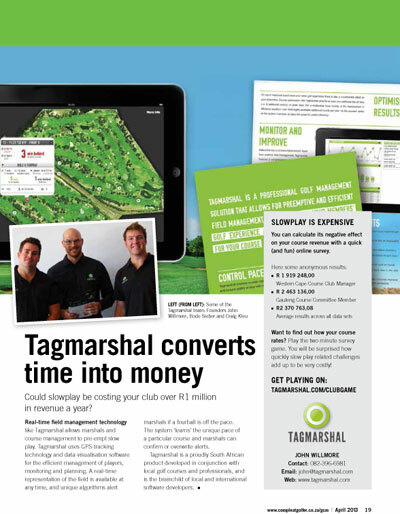 Tagmarshal is a proudly South African product developed in conjunction with local golf courses and professionals, and is the brainchild of local and international software developers. You can calculate its negative effect on your course revenue with a quick (and fun) online survey. A new system that aims to help golf courses control the speed of play on their layouts is due to launch on 1 March this year under the name Tagmarshal. The system is locally owned and operated and will see one player from each fourball in the field clip a small GPS tracking de- vice to his/her bag. 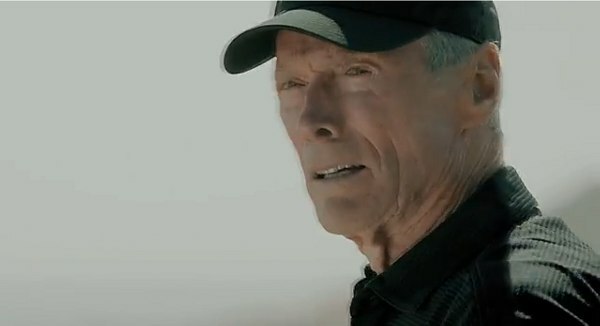 This will send the coordinates back to a central tablet where information on pace of play will be tabulated. This will allow the marshal to see where the field is slow and to monitor areas on the course over a longer period of time. Tagmarshal has been in testing on Mowbray and Westlake in Cape Town and results have been extremely positive, particularly for Westlake’s director of operations Dave Gleeson. “Westlake was very excited to be asked to be a development partner of Tagmarshal. Being able to track the progress of golfers and their position on the course allows our marshal to go directly to the problem and address it immediately, which means you don’t get large gaps in the field,” Gleeson said. “A golfer is able to complete a round of golf in an acceptable time and you can potentially accommodate a full field. 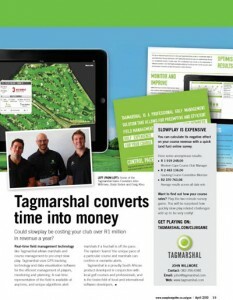 It’s a direct and effective solution to a growing golfing problem.” If you feel your home club is falling into the trap of slow play, especially on weekends, speak to the golf director to find out whether they are aware of Tagmarshal and direct them to www.tagmarshal.com for more information.